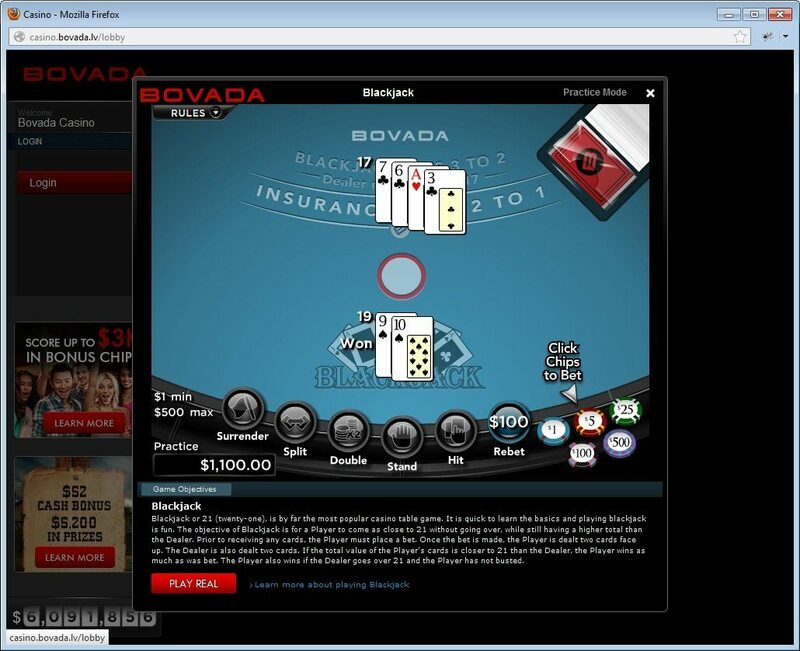 Bovada is more than just a gambling site. They're a whole lifestyle brand, spawned from the Bodog mothership. When you bet at Bovada, you really feel like you're betting with an offline brand that happens to have an online presence. That's been the case for poker. That's been the case for sports betting. And we're happy to report that it's the case for online roulette. The customer service and ridiculously smooth software have a lot to do with it, but there's even more at play. Read on for more. We've rated tons of online roulette games in the past, and we've commented how a lot of them felt really smooth and fast. But with Bovada online roulette on the scene, the other guys suddenly feel really choppy. 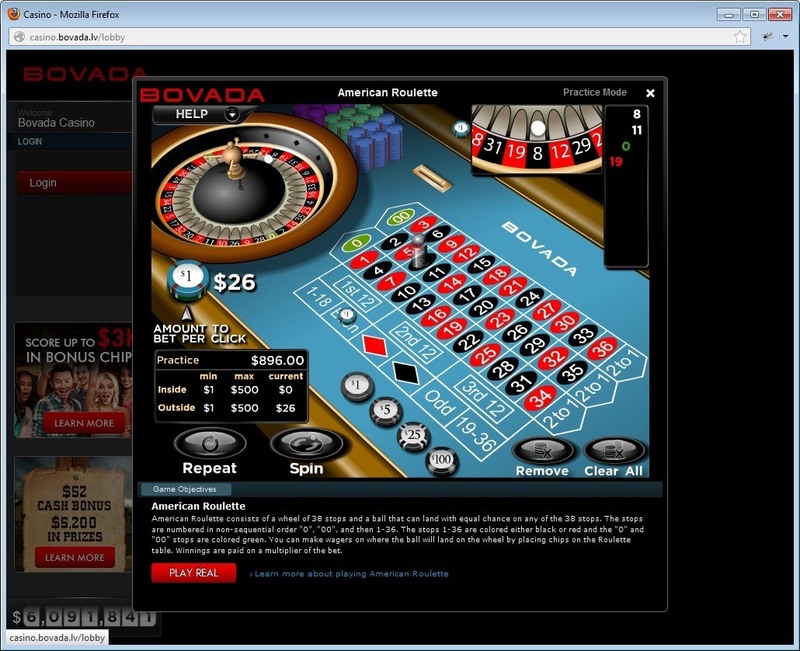 You'd be hard-pressed to find software that's as fluid and quick as Bovada's online roulette tables. The way the roulette wheel spins is so natural and lifelike that it's almost surreal. We aren't suggesting the graphics are cutting edge. In fact, we've seen other roulette Internet casinos that look more realistic. But the way Bovada plays is simply more true to life. Most land-based casinos only offer one flavor of roulette. You have American Roulette if you're at a casino in the US or Canada. You've got French Roulette in France. And you've got European Roulette for almost everywhere else. Online, there's an expectation that you should be able to find all three. However, it's pretty rare. French Roulette usually gets left out of the equation. We were hoping to be surprised by Bovada, but that wasn't the case. However, it's not that big of a deal. Their American and European Roulette options are so high-end that you really don't miss anything about French Roulette online. Bovada offers casino game fans the option to play online roulette through a downloadable casino app or through their web browser. The downloadable app only works on PCs running Windows, but the Instant Play version works well on Macs (PC users can use the Instant Play version, too). What we really like is that the experience between the Instant Play and the download versions are virtually the same, so it's easy to bounce from one version to another without getting lost. Web roulette players hoping for a mobile version of their favorite game are in luck. 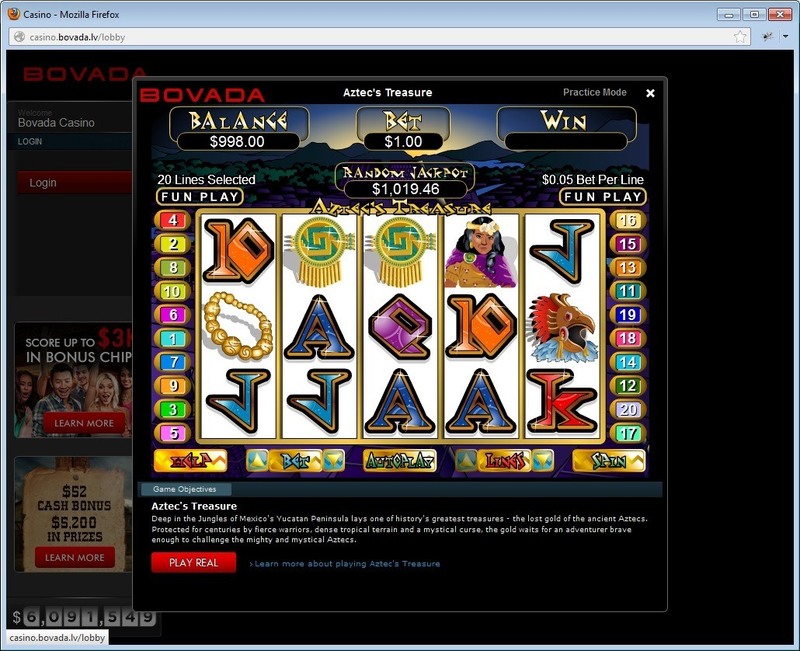 Bovada offers a mobile casino that works on iPhones, Androids, Windows Phones, and BlackBerry devices. Our only caveat is that Bovada online roulette really isn't that great on a smartphone. And the experience is a lot different than in the desktop or Instant Play version. We'll be honest here. We're not impressed by the banking options available at Bovada. They only offer Visa and two money transfer options. But here's the good news. While there is a credit card processing fee, Bovada takes care of fees associated with the money transfer options. That's good news for roulette online players who want to hold onto more of their bankroll. Withdraw options are fairly limited, too, with just a couriered check or two money transfer services as options. However, cashout times are the best in the business. Bovada consistently tops the list in terms of fastest payment processing. Our readers receive their checks within 1 to 2 weeks, which is great considering some of the competition takes a few months to pay their players. Money transfers are even faster, arriving within days. Customer service is available by toll-free phone, and agents are both knowledgeable and friendly. Our only gripe? There's no live chat. If you want to get in touch through an option other than phone, your only choice is to fill out a web form. They try to get back to you within an hour (and in our testing they did) but we would have liked to see a live chat option where you can communicate instantly. 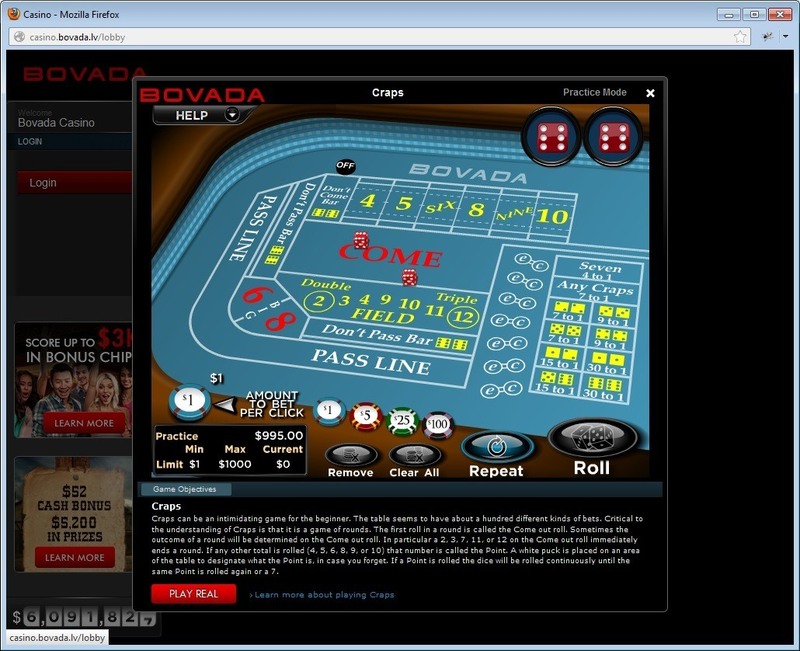 A lot of Bovada online roulette players enjoy games at night when they don't want to disturb their spouse or kids. It would be nice to have a live chat link instead of having to talk to someone over the phone. Even with a few misses, there's a lot to like about Bovada - and there are a lot of plusses that make it one of our favorite online roulette destinations. We recommend signing up for a free account by using the link at the top of this page. Not only will you get access to a special signup bonus, but you'll also be tagged as one of our readers. That will make you eligible for future promotions that are only available to people who come through this site. Remember, you can access the free online roulette tables using your account, so get started now. >> Click to Join Bovada and Get Your Bonus!